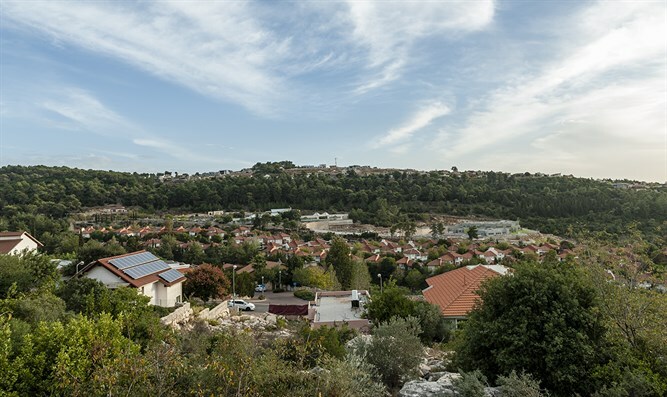 Last Wednesday a stormy demonstration was held in the northern town of Kfar Vradim protesting against council head Sivan Yechieli, who froze future tenders for marketing plots in "Stage 3" of the town after it became known that in the first tender half of the plots were marketed to Arabs. On the other side were activists for grassroots Zionist organization Im Tirzu and the residents of Kfar Vradim who supported the council head. Kfar Vradim resident and Im Tirtzu coordinator at Haifa University Alon Malik told Arutz Sheva that the council head's decision is correct. "Up to now, more than fifty percent of the winners are Arab families. Stage 3 is supposed to open to 2,000 families. Imagine a thousand Arab families in Kfar Vradim." According to him, relations with area Arabs are excellent, but every town has its own character. "Today there are 50 Arab families living in Kfar Vradim. There are also Druze and it doesn't bother us, but Kfar Vradim is essentially a liberal Zionist Jewish community. If we create a separate community of Arabs here, it's a problem also for them and can ruin the good relationship that exists today." Malik claims the demonstration against the council head is an initiative of left-wing organizations and not local residents. "The one who demonstrated yesterday is a group of demonstrators from the New Israel Fund who go from demonstration to demonstration. They are also in favor of the infiltrators. They joined some of the villagers who have extreme leftist positions and decided to present the council head as a racist who doesn't want to live with Arabs." Malik recalls there was a similar opposition at the time to the arrival of a haredi group in Vardim. "There were 11 haredi families and there was opposition to building a mikveh and kindergarten. They were afraid large groups of haredim would come here. Most of them stayed in Kfar Vradim, but more families stopped coming."